As my Art of Intuitive Photography book is getting close to completion, the deadline to submit your photos is also coming to a deadline. Please note, that I will choose what I feel fits best in the book. There is no guarantee that one of your images will be selected. I will notify all who will be included. Please email photos and blurb to: info@artofintuitivephotography.com. Submission deadline is Jan 22nd. If you have any questions, please don’t hesitate to ask. I look forward to seeing your submissions! 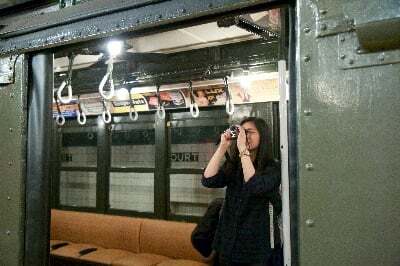 Marj taught our Intuitive Photo class at the Transit Museum yesterday afternoon. A fun time was had by all!